Abstracts of 500 words, with a short CV, are invited by January 31, 2017, to be sent to Dagmar Lorenz and M.-L. Caputo-Mayr, Kafka Society of America. 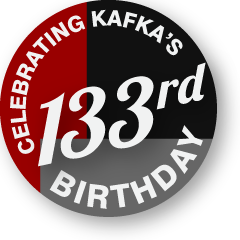 The Kafka Society of America is the only society exclusively devoted to scholarly exchange in the field of international Kafka studies. 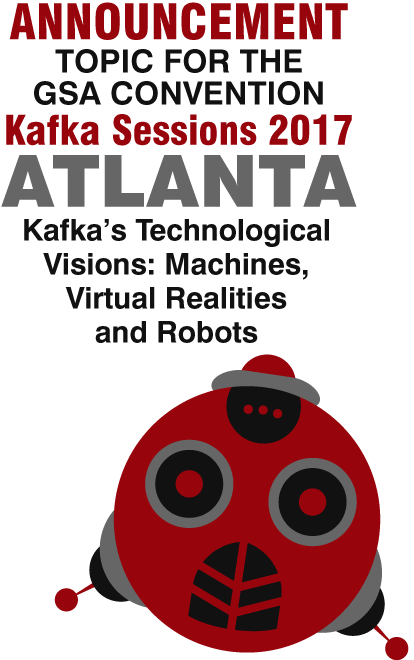 Meetings of the Kafka Society of America are held in conjunction with the Convention of the Modern Language Association of America in January. The Journal of the Kafka Society of America, published since 1977, presents papers given at the annual meetings, other articles, essays, bibliographies and materials of interest. Membership in the society is open to anyone interested in Kafka and Kafka studies. You are visitor number: . Thank you for visiting our site. Please visit us again soon. © Copyright 2019 Kafka Society of America. Updated: 27 November 2016.